Meaning “to translate” in our native Madingo language, at FASARI we are translating bold, African prints into versatile, lightweight travel luggage, accessories, and apparel. Your FASARI purchase contributes to uplifting artisans out of poverty in a dignified and sustainable way---by keeping them employed. We believe that good business can be an incredibly powerful force for positive social change. 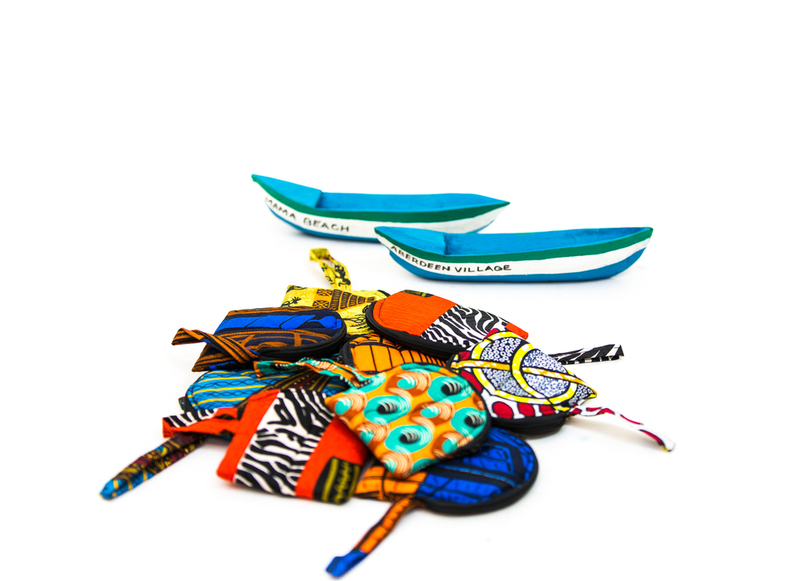 Our products are proudly made in Sierra Leone, West Africa where our profits directly help create job opportunities and provide training to improve artisans’ skills. Each authentic fabric is handpicked by our founders in Sierra Leone's infamous Kingjimy Market. Our designs are a unique collaboration of ideas between our founders & artisans. We hope FASARI products inspire you to live boldly & embark on new adventures as you take a little piece of Sierra Leone with you. Meet the Founders of FASARI: sisters, Fatmata and Ismatu Daramy, who originate from Sierra Leone, West Africa and lived in London. After escaping Sierra Leone during the Civil war, they returned to London and ultimately sought refuge in the United States. They are both now citizens of the United States and share a love for travel, adventure, and serving their community. Fatmata is a Medical Doctor, and Ismatu is an Events and Sales Coordinator. After the loss of their father in May 2013, they traveled to Sierra Leone where they found inspiration to create FASARI. Their late father, Kanji Daramy, was an influential figure in the Sierra Leonean community. Throughout his life, Kanji had a passion for helping others achieve success. He offered financial aid to the best students in his native town of Kabala, giving young people the opportunity to further their education. Ismatu and Fatmata hope to continue their father’s legacy by empowering artisans of Sierra Leone by equipping them with the tools & support they need to achieve success.